One of the frustrating aspects of seeking resume advice is the likelihood of receiving conflicting feedback from different people. Your mom says to leave off your GPA, but your advisor says to list it. Your teacher said that your student dining job is irrelevant, but your supervisor says you should definitely include it. How do you know what recruiters actually want to see, and do they even agree on what is relevant? One of the benefits of using ECS is that we are directly connected to engineering employers, and our advice is specifically tailored toward what they want to see. (For example, we would side with your advisor and your supervisor in the examples above). Although there certain aspects of your resume that are up for debate...almost everyone would agree that they don't want to see the following items. Spring is in the air! Before you get excited about hitting Oval Beach, remember periodically refreshing your resume throughout the year is an easy way to track your accomplishments and improve your job search. So start the quarter right and make your first spring cleanup project your resume. 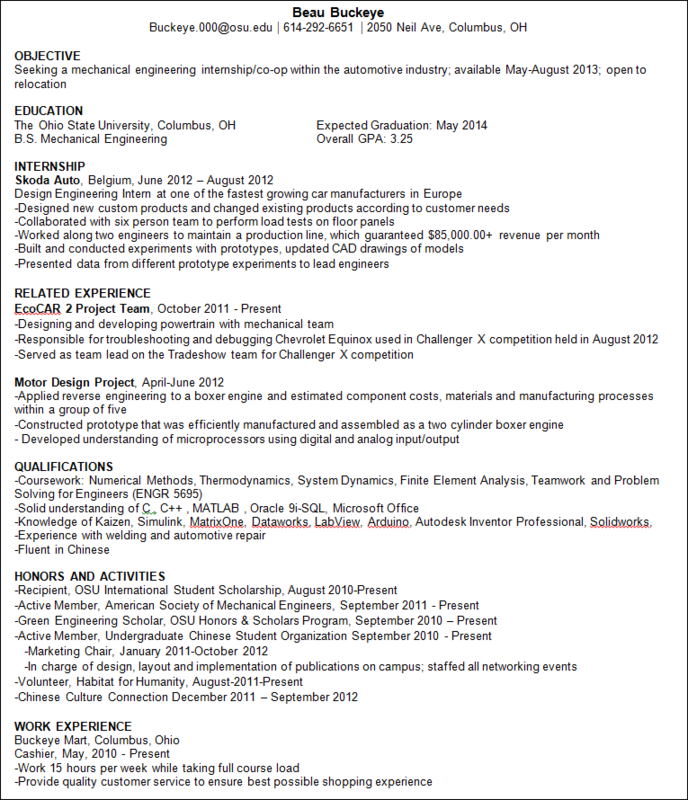 Do you have any new work experience to add to my resume? – This could be internship or co-op or even work unrelated to engineering. If you’ve co-oped or interned, make these experiences stand out by listing them near the top of your resume and using action verbs to describe your accomplishments.